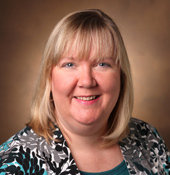 Lori Rolando, M.D., MPH, assistant medical director of the Occupational Health Clinic and assistant professor of Clinical Medicine, has been named director of Occupational Health for Vanderbilt University Medical Center (VUMC). 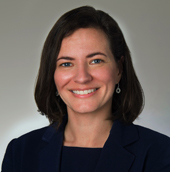 The appointment begins May 5, following a transition period as the current director, Melanie Swift, M.D., leaves for a new position in the Department of Preventive, Occupational, and Aerospace Medicine at the Mayo Clinic in Rochester, Minnesota. In 22 years at Vanderbilt, Swift held several faculty positions, including, most recently, associate professor of Clinical Medicine, and served as director of Occupational Health for 16 years. Swift put forth the idea of a mass flu vaccination event for employees, coined the name Flulapalooza, created the goal of breaking a Guinness World Record for “Most Vaccinations Given in a Day,” and then led the effort which led to more than 14,000 people getting vaccinations and set a new world record in the event’s first year, 2011. Since that successful launch, Flulapalooza has become an annual event, leading to much higher flu vaccine participation rates. “I do feel like my legacy here is Flulapalooza,” Swift said. “It’s become a happy, fun, beloved thing, and it will go on. I’ve been very mindful about training succession for that. Rolando has been at Vanderbilt since 2008, and also serves as medical director for Health Plus, the faculty and staff wellness program, a position she will relinquish due to the demands of her new job. She said the new position is exciting for her, but is also bittersweet. Mary Yarbrough, M.D., MPH, associate professor of Clinical Medicine and executive director of Faculty and Staff Health and Wellness, had praise for both women. “For more than 15 years I have had the honor of working with Melanie,” she said. “She has mastered the translation of science in support of her occupational practice for the benefit of our Vanderbilt faculty and staff. Rolando, an Illinois native, earned her medical degree from Southern Illinois University School of Medicine in 1997, followed by a residency in general surgery at Southern Illinois University and a vascular surgery fellowship at Indiana University. After practicing as a vascular surgeon for a few years, Rolando served a second residency, at Mount Sinai School of Medicine of New York University, in Occupational and Environmental Medicine, and earned a master’s degree in public health simultaneously. “As a vascular surgeon, I loved my patients and loved what I was doing, but from a work-life balance point of view, I wanted a change,” she said. Occupational health had a powerful attraction for her. “My father was a coal miner, so I was aware of the risks of occupations,” she said, adding that Vanderbilt was a good fit for her dedication to occupational medicine because of the focus on care for employees and prevention.